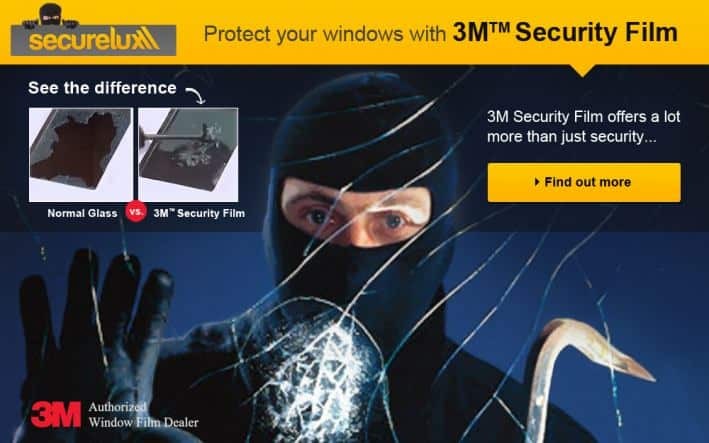 What is 3M Security Film? 3M security film is made of resistant material that provides superior strength to protect you and your belongings and keep your family safe. There are many added benefits to this form of security film, holding the glass together on impact and preventing accidents in the process, while also keeping the harsh UV rays out with tinted features. Here are some of the further advantages of using 3M film in Brisbane. Number one is, of course, safety. Children are often prone to accidents, such as running into glass. The 3M film is tough and strong, holding the window together even if the glass is broken, so your children will stay safe and unharmed. This also means if a ball is accidentally kicked into the window or rocks form a lawn mower and thrown into it, there would be no concern of the glass breaking everywhere. One of the aims of 3M security film is to keep your home safe and secure. 3M film will deter criminals from breaking in, as the window won’t shatter on impact, providing them with instant access to your home. If a criminal comes up against the 3M film they are likely to give up and move on very quickly for fear of being caught. 3M film windows are tinted to protect your home from the harsh rays of the sun. The 3M films at Securelux can reduce up to 78% of the sun’s heat and 93% of the annoying glare. This also means that your carpets, furniture and electrical appliances are protected from the sun and fading that can come with it. 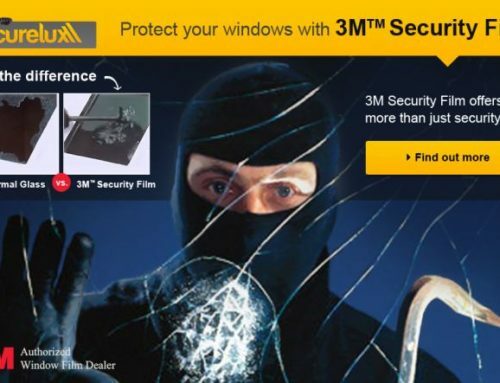 If you are looking to secure your home with 3M film, check out the experts at Securelux.